Médecins Sans Frontières / Doctors Without Borders (MSF) is supporting a patent challenge filed in India this week by two tuberculosis survivors. It aims to prevent pharmaceutical corporation Johnson & Johnson (J&J) from extending its monopoly on the tuberculosis (TB) drug bedaquiline. Nandita Venkatesan from Mumbai, India, and Phumeza Tisile from Khayelitsha, South Africa, filed the patent challenge at the Mumbai Patent Office on Thursday. Both survived drug-resistant TB (DR-TB) - a strain of the illness that does not respond to first-line antibiotics - but lost their hearing as a side effect from the toxicity of the treatment. They are now fighting to ensure that newer drugs like bedaquiline – which are safer and more effective – are made affordable and accessible to everybody with DR-TB, to replace painful and toxic drugs that need to be injected. "How many more people will have to die or go deaf, waiting to access safer and more effective drugs?" An estimated 558,000 people developed DR-TB in 2017, but only 25 percent of them were treated. The standard DR-TB treatment used by most countries up to now has included drugs that need to be injected daily and are associated with several serious side effects. The cure rate is only 55 percent. “I lost my hearing when I was 24 because of the brutal side effect of an injected DR-TB drug,” said Nandita Venkatesan, who completed her treatment in 2015. “I was devastated by this loss, which took a heavy financial, emotional and mental toll on me. How many more people will have to die or go deaf, waiting to access safer and more effective drugs that can save their lives without such devastating side effects? The World Health Organization (WHO) recently recommended bedaquiline as a core part of an all-oral treatment regimen for DR-TB, and relegated drugs that must be injected and cause serious side effects to "last-resort only" options. A scale-up of WHO’s recommendations by countries will dramatically increase the number of people who should receive this drug. By November 2018, only 28,700 people had received bedaquiline worldwide – nearly 70 percent of whom have been treated in South Africa. Despite the benefits of the drug, high prices remain a significant barrier. J&J recently announced a reduced price of US$400 for six months of bedaquiline treatment for South Africa and countries procuring the drug through the Global Drug Facility. However, this falls short of making the drug affordable in all countries affected by the DR-TB epidemic. “The evidence of improved cure rates and lives saved for people with drug-resistant TB using bedaquiline is crystal clear,” said Dr Anja Reuter, a DR-TB doctor with MSF in Khayelitsha, South Africa. “Bedaquiline is crucial to offering patients a fighting chance without the toxic side effects of drugs that need to be injected. "This treatment revolution is already a reality in South Africa, but DR-TB programmes elsewhere need this drug at an affordable price. If this patent application is rejected, generic versions of this drug could be available sooner at reduced prices, saving hundreds of thousands of lives and reducing immense suffering around the world." The J&J patent application being challenged is for the salt form of bedaquiline, which does not merit patenting under India’s patent law. If granted, J&J’s monopoly on bedaquiline would be extended from 2023 to 2027, delaying entry of generics by four additional years. This strategy of "patent evergreening" through the filing of additional, often unmerited patents, is commonly used by corporations to extend monopolies on their drugs beyond the standard 20 years. Preventing this patent barrier is expected to encourage TB drug manufacturers from India to enter the market with generics and supply bedaquiline at lower prices to national TB programmes and TB care providers globally. “I know what it means to be faced with the choice of being deaf or dead because the only drugs that can save your life will also rob you of your hearing,” said Phumeza Tisile, who completed her treatment for extensively drug-resistant TB (XDR-TB) in 2013, which included toxic injected drugs. The development of bedaquiline benefitted from considerable public investment, and the evidence for its potential to improve cure rates with fewer side-effects was the result of a collective effort of the global TB community. 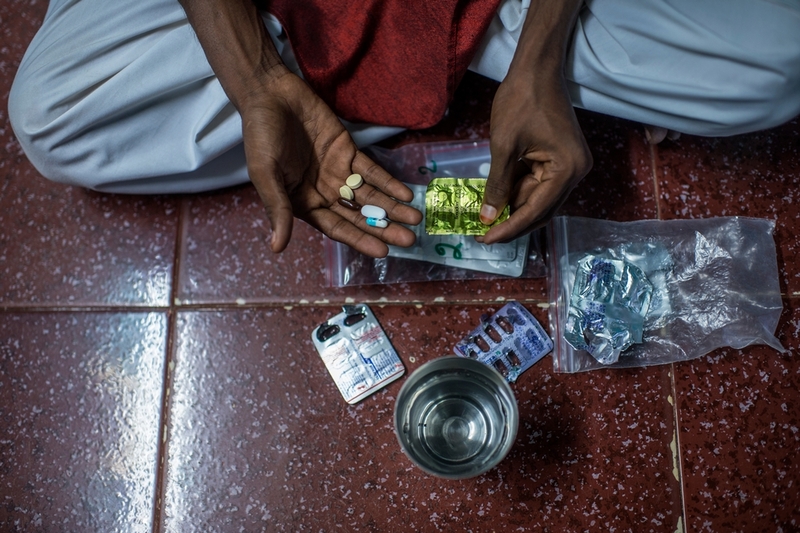 MSF is urging J&J to refrain from attempts to extend its monopoly that will further delay the availability of quality-assured generic versions of bedaquiline in India, South Africa and other countries.